I knew when I hit middle school that I could expect acne to invade my face, as it did for most other kids my age. What I didn't expect was for it to become severe and persist well into my 20s. Adult acne is increasingly common, and if you suffer from it, you know that treating it is an ongoing process filled with ups and downs. Some days, months, or even years are better than others, and you have to continually experiment with various treatments and products as your skin changes. For the members of the Insider Picks team who have dealt with and are still actively dealing with adult acne, these products have helped treat those unsightly and painful bumps and blemishes. We can't say enough good things about these 12 skincare products, which truly work to improve our skin and confidence. I know a lot of people love the pink Mario Badescu drying lotion spot treatment, but I'm way more partial to this one because it comes out and dries as a clear gel — which means I can wear it even when I'm out of the house, and put it on over or under makeup. This hyped-up $9 mask with over 12,000 five-star reviews that's everywhere from the Sephora beauty blog to vlogs with 1 million plus views is the real deal, but it's definitely a labor of love. What I mean by that is that while the clay mask acts like a vacuum for your pores in the 5-15 minutes that it's on, it also might feel like your face is going to fall off in the duration. The directions call for equal parts water and powder when mixing it together before application, but I've started adding more water to the mix to keep it from feeling so tight. And if you have sensitive skin, you might want to start with only leaving it on for 5-10 minutes. I honestly don't know what it is about this moisturizer that has helped with my acne so much — but every time I use it when I'm dealing with even the most painful, deep, cystic acne, it somehow manages to pretty much disappear the bumps. I love starting and ending my day with this balanced, foaming cleanser, which contains a gentle cleansing agent derived from coconut oil to draw out impurities, a "Moisture Shield Complex" with hyaluronic acid to nourish your skin, and antioxidants like green tea extract and vitamin E to moisturize and soften. Given that Panacea was founded from the founder's own struggles with acne, it's no surprise that its products naturally aim to keep acne at bay. I've noticed a significant decrease in new breakouts since I started using the cleanser consistently, and my skin feels soft and nourished. These things are like my personal brand of magic. After reading Connie Chen's review of Mighty Patch, I decided to give them a chance and bought a 72-count box. Yesterday, I re-ordered another 72-count. Mighty Patch is basically a hydrocolloid sticker that you place over a whitehead which absorbs all the gross pus and fluid inside over the next few hours (six at a minimum), remarkably decreasing the severity and volume of the blemish without further breaking or irritating the skin. 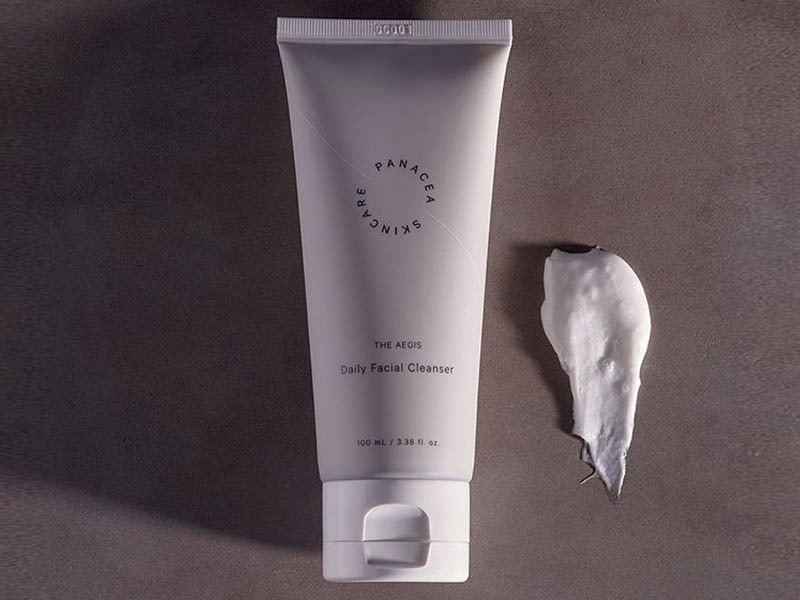 I usually use this before the Panacea cleanser in order to really clean out the oil and dirt that has accumulated on my face and clogged up my pores. This exfoliating bar soap will make your face feel literally squeaky clean, which is quite the satisfying feeling. These two-step wipes are an essential daily treatment for me when my acne flares up, but I also use them a few times a week regularly even when my skin isn't horrible to prevent outbreaks. Each pad is pre-loaded with hydroxy acids to exfoliate dead skin cells and bacteria (a buildup of which can lead to more acne), plus a cocktail of other ingredients like retinol and resveratrol that are known to increase collagen production and fight free radicals. I’m not a dermatologist, and there may be better options out there that I just haven’t tried yet (though trust me, I've tried many), but this simple fix works best for healing skin after a breakout. It also gets bonus points for being cheap, readily available, and multi-purpose. My skin is sensitive and fair, so when I do get a blemish and it eventually heals, it leaves behind a red spot in a surrounding ocean of pale. To help keep the skin hydrated as it heals, decrease risk of scarring, protect against bad bacteria, and facilitate new skin growth, I rely on Bacitracin (and/or Neosporin). My esthetician first recommended this natural zinc supplement as a possible solution to clearing my acne. It turns out research has shown that people with severe acne have 24% lower zinc levels than people with clear skin. I never would've guessed that a zinc deficiency could contribute to my acne, but the difference in my skin is clear when I forget to take or reorder my zinc supplement, even if just for a week. Zinc reduces inflammation, acne-causing bacteria, and keratin production (too much of which leads to blocked pores). It also helps boost your immune system. The European Sauna Marathon includes 19 freezing ice baths, hot tub dips, and steamy saunas. It may support a key 'third pillar' of physical fitness. 7The European Sauna Marathon includes 19 freezing ice baths, hot tub dips, and steamy saunas. It may support a key 'third pillar' of physical fitness.